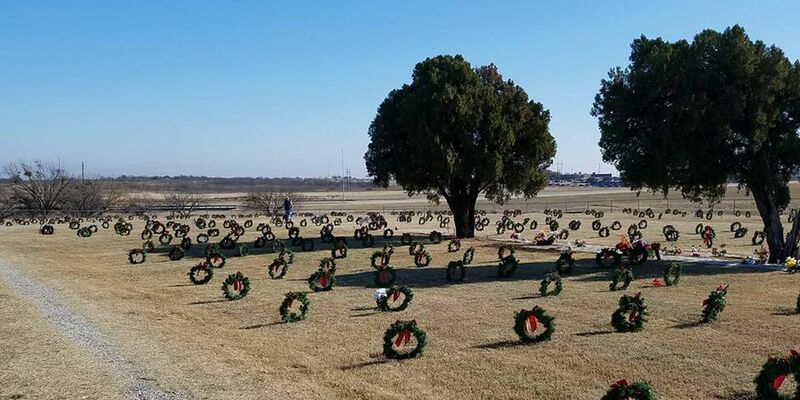 Wreaths for Vets lays wreaths on the graves of veterans in the Wichita County Cemetery every holiday season. WICHITA FALLS, TX (RNN Texoma) - A car and bike show to benefit Wreaths for Vets is taking place this Saturday, November 3, Red River Harley Davidson in Wichita Falls. Donations pay for wreaths and bows that are placed on the graves of veterans at the Wichita County Ceremony throughout the holiday season. The event is taking place from 9 a.m. to 2 p.m. Car & Bike Registration begins at 9 a.m. and judging begins at noon. Awards will be announced at 1:30 p.m. The Wreaths for Vets will be cooking from 11 a.m. to 2 p.m. for donations.